The future of work is just around the corner and it’s only a matter of time when Remote Workers will take the centre stage. Every organisation now is trying to maximize their productivity in their quest to success. But there’s a much bigger and broader perspective to Remote Working. There are also a lot of questions. Why Remote Work is trending? How well does it sync with today’s businesses? How technology is playing a role in its growth? And how can employers support benefits for remote workers? It is my belief that working to develop a great remote working culture is an investment that will pay dividends for decades to come. The corporate culture has evolved dramatically during the past decade. And we have seen major changes happening over this course of time. Employees are now moving from the traditional style of working to this new concept of remote working. This change can be credited to the advances made in the field of technology. Further, with the advent of Cloud Computing, organisations have seen the rise of a collaborative workforce. A new section of workers has evolved who can now operate from anywhere and anytime around the world, without being confined to a desk. These workers are termed as the Remote Workers. So, Who are these Remote Workers? Remote workers are employees who perform their duties staying outside the office. They could be operating out from anywhere like a park, beach, coffee shop or their home. Remote workers could be an organisations’ key asset as it helps them cost cut in their tangible resources. Resources here means expense on office space, furniture, amenities, electricity etc. In some cases, these remote workers can also be classified as a “Distributed Team” who aren’t bound to a traditional office space. Remote Workers and Businesses today – How well do they sync with each other? Remote workers help in saving time and resources and this is a crucial factor for businesses. No matter where they are or what they do, their job moves with them. Keeping aside in-office distractions like water cooler conversations, unnecessary breaks etc. it helps save a lot of time. And businesses are able to hit the goal of getting the job done quickly without any compromise. Remote work bridges the gap between the work and personal life of an employee. An employee’s personal life is also as much important as their work life. Remember, “Only happy and motivated employees will make the best out of your workforce.” Trust me, any employer who acknowledges that, has hit the gold mine in employee relations. A business runs more smoothly when it has the perfect match for its job roles. It’s not always possible to get the perfect person for the job right next door. Sometimes you might’ve to go beyond the borders to look for them. Remote work culture has shrunk the geographic barriers between an employee and the employer. Consequently, it has now allowed enterprises to get the best from the huge pool of talents spread all across the globe. Why Remote Work is Growing Popular? In this era of the Internet, the world has shrunk and so has the distance between an employee and their work. Above all most businesses are now moving towards “Cloud Technology”. Likewise, it has allowed the enterprises to work, store and share everything in real time. However, the most beneficial aspect of cloud technology is the collaborative work environment. Having face to face interactions over video calls with team members is a big advantage for employers. It allows them to handle a distributed team much efficiently. Also, it has granted the employees the ability to work from anywhere. So no matter where they go, their work stays with them always. In contrast, cloud technology is the actual major factor for boosting remote work culture. Three factors backed by Cloud Technology are the key elements fuelling the remote work culture. 1. The choice to work from anywhere. Wherever the employee goes, the job moves with them. Be it their home, coffee shop, park or the subway remote workers can operate from anywhere. People now are more tech-savvy than ever before. Everyone is more conscious about saving time and getting the work done. Cloud technology has changed the conventional way of storing the work or doing it in a definite place. In particular, it now gives better flexibility at it by enabling one to work and access the files from anywhere. For a remote worker, this most noteworthy point provides a good balance between their personal and work life. It also saves them crucial time, energy and notable expenses. A telecommuter takes the full advantage of it. This is another influencing factor for people to adopt remote work culture. The entire sphere of remote work environment revolves around having more flexibility. Remote workers are result oriented and are not bound by the revolving hands of the clock. A remote employee hardly follows any fixed routine or work schedule. Since everything is available on the cloud itself, one can access it anytime they want. Thus gaining them the advantage to get the work done at any time of the day. An employee performs the best when he/she is free from worries or is not under any pressure about anything. Remote workers are work driven beings at their own terms. They enjoy full autonomy over what they do and how they do it. As said earlier, Cloud gave birth to a whole new world of collaborative work culture. Remote employees can perform the job while playing with their kids, pampering the pets or enjoying a nice view somewhere. This creates a stress-free work environment leading to a better focus on their work. Employee benefits is now an essential way for motivating workers and get the best from them. When it’s about delivering these benefits, ensure everyone gets it. Treat all employees the same here. If you are paying the salaries over the internet, then consider doing the same for delivering benefits too. Yes! But How? Using the same cloud technology, for delivering benefits to remote workers. A lot of new online tools and platforms are now available for doing so. It’s now possible to disburse employee benefits with a few simple clicks. Moreover, you’ll have a more diverse set of benefits available over these platforms. Furthermore, by using such a platform you can be sure about all your employees having access to them. Appreciating your employee doesn’t cost you a penny. Recognising an employees’ effort is the key point towards building a better workplace. You can do the same for the remote employees too. Consider giving them awards like “Employee of the Month”, “Best Performer” etc . And all these become easy with a cloud-based employee engagement platform. Through this, you can hop in all the employees under one roof. Likewise, there remains no difference between a remote and a full-time office employee. The remote workers too will feel like a part of your team no matter where they are. Moreover, this will also reflect their importance and how valuable they are to their organisations. 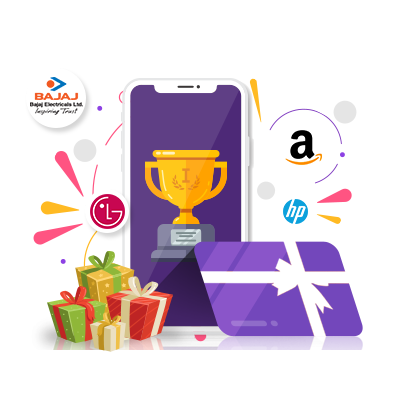 Vantage Circle offers a cloud-based Rewards and Recognition platform. Using this platform employers can appreciate employees for their hard work and achievements on the go. With added features like peer to peer recognition, coworkers can appreciate, like and comment on each other’s achievements. As the proverb goes, “Money saved is money earned”. Helping your employees save on their expenses is a great move to do as an employer. 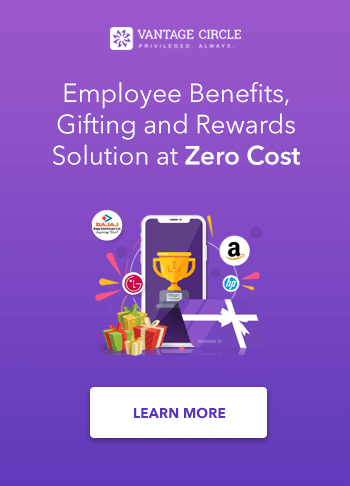 The perks and discounts can be easily disbursed over a unified employee engagement platform. For this, you can provide them with gift cards, discount coupons for various things. This can include subsidised insurance plans, shopping & travel benefits, and many more. All these apart from helping the employees save on their expenses also motivates them to keep up with their good work for your organisation. Working with proper resources is like “cherry on the cake” for every organisation. These resources include amenities like office equipment, connectivity solutions, software, etc. Remote workers don’t get these amenities or they have to manage it on their own. But just because remote employees operate out of the workplace doesn’t mean they don’t need resources. Taking things to the cloud makes this task easier. You can use cloud-based software, services, learning amenities and productivity tools to get the work done. Providing access to all these to your remote worker will be good too. Also, since they aren’t coming to the office you can consider giving them a fixed amount for hardware entities needed for the work. Pay your workers, they’ll work for you. Care for your employees and they’ll love to work for you. Caring for your employees will return back to you in the form of love from your employees. Every organisation wants their workers to be healthy. Again, nowadays health and wellness benefits are too supported with the help of cloud technology. Moreover, it also helps the employers to keep a track on their employees’ health. This benefit helps both the workers by leading them to a healthy lifestyle. And the employers by making sure all the workers remain productive with good health. It can often be difficult to offer relevant health and wellness benefits to your remote employees and keep track of the same. One great way to offer benefits to your remote employees is through an online wellness platform/application. VantageFit is one such corporate health and wellness platform that can help you in managing wellness programs for them. Employees can engage themselves in various health & fitness activities and earn rewards. Moreover, they can also compete with other employees located in the various parts of the world. Appreciate your employees for the good work done. Happy and motivated workers are like the jewels to the crown for any organisation. No matter from where they are working, you can show how much you value their work and appreciate them. Rewarding them for the same with bonus amount could be very good. Since you don’t see your remote employees daily, you don’t get enough chance to praise them. So just saying a simple thank you over the mail or a call might not create much impact. However, the same “Thank You” complimented with some surprise like a “bonus pay” will surely do the magic. With this, you’re not only making them happy but also earning their confidence over you. Providing your remote workers with co-working spaces can be a great way forward. It is an obvious fact when one tends to work alone for a longer period of time, they start falling out from the herd. The feeling of working all alone hampers their productivity to a great extent. As an employer, you can bring the change by encouraging them to use a co-working space or reimburse for the same. What are these co-working spaces? Shared workplaces where people sit and use all available resources to do their work. The environment in these workplaces is very different from regular office space. Co-working spaces are very popular among the remote working community. Furthermore, such spaces help create avenues for making connections and learn new things. Buffer started off in the year 2010 as a simple tool for scheduling posts on Twitter. It is currently used by over 4 million users for managing their social media presence. The most noteworthy fact here is Buffer is completely built by remote employees. Even their CEO operates remotely as they don’t have a permanent space anywhere. “Bufferoos” as their team calls itself is spread all across the globe. Haven’t heard of it? Then welcome to the holy grail of remote workers. Headquartered at Chicago, US, Basecamp provides an all-in-one cloud-based platform for businesses. Their platform includes solutions like real-time chat, cloud storage, to-do list, documents etc. Company issued American Express cards with no limit. These three companies have created the benchmark for dealing with the remote workforce. In addition to this, other names on the list include Github, Moz, Mozilla, Skillshare, Spotify, Salesforce etc. Got some idea about a remote worker and how to deliver benefits for them? Then now it’s your turn to make the difference and start caring for your remote workers. Show that you care for them no matter wherever they are. Express your gratitude towards them for being a part of your team in your own way. Because once you start valuing your workers, they won’t hesitate to go some extra mile for you as well.